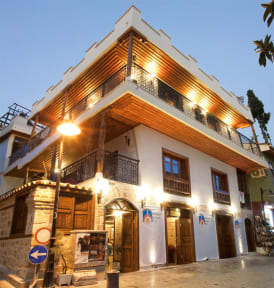 Our small family hotel ıs situated near the sea in the heart of Kaleıcı Old Town. There ıs a terrace which over looks the sea. We also offer you a small swimming pool. The reception is open 24hours. Free Wi-Fi is available. We are 12 kilometers from the airport by car or taxi. Buses go along the main street. 10 minute walk trams go the otogar. 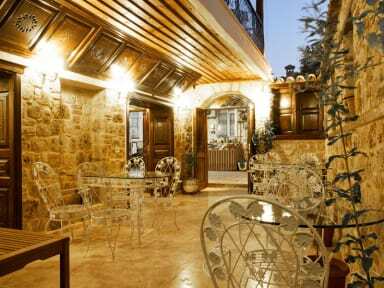 We are ideally situated for all the important things in Kaleiçiü old town. there is a harbor 1 minute walk away. There are 3 swimming and diving beaches. A large park is in the next street. The air-conditioned rooms here have a flat-screen satellite TV, safe box, telephone, electric kettle and a minibar. The private bathroom is equipped with a shower, hairdryer and bathrobes. Some of our rooms have a sea vıew.